This week on Science on the Radio we take a trip to Brooklyn, New York to examine the legendary Brooklyn Bridge. The Brooklyn Bridge is a hybrid cable/stayed suspension bridge in New York City and is one of the oldest bridges in the United States. Have you ever wondered how much money it cost to build such a bridge? Or how did they test its safety? Find out this week on Science on the Radio with Dr. Marvin Druger. 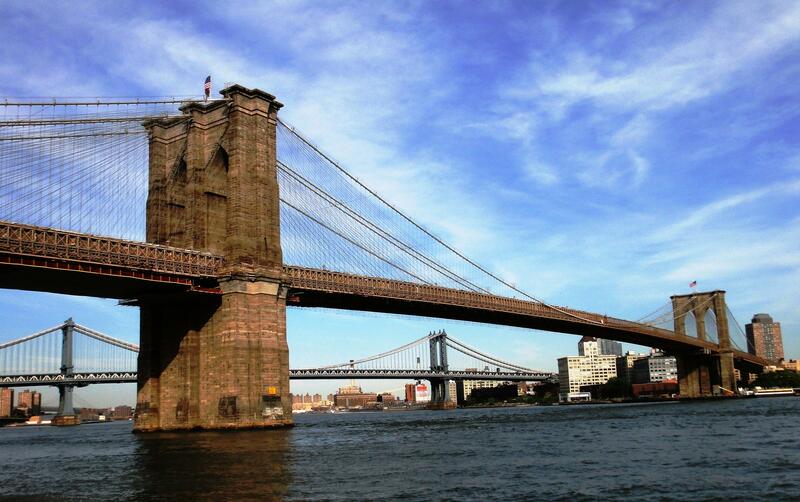 Dr. Marvin Druger takes us on an informative stroll along the Brooklyn Bridge.